From"New York Times"-bestselling author Philip Kerr comes an amazing departure: an intense psychological thriller, sure to garner even more acclaim for this powerhouse author on the rise. Gil Martins, an agent with the FBI's Domestic Terrorism Unit in Houston, confronts the violence generated by extremism within our nation's borders every day. He sees hatred and destruction wrought by every kind of ism there is, and the zealots who kill in their names. Until now, he has always been a part of the solution however imperfect a part of justice. But when Gil discovers he played a key role in wrongly condemning an innocent man to death row, it shakes his faith in the system, in himself, and in God deeply. It even estranges him from his wife and son. Desperate, Gil offers up a prayer. To know God is there, not through a sign or physical demonstration but through the strength to cope with his ever-growing, ever-creeping doubts. His problems become more than personal as things heat up in Houston. A serial killer terrorizing the morally righteous turns out to have religious motivations, upping the case from homicide to domestic terrorism. A number of prominent secular icons die or are grievously injured abruptly and under suspicious circumstances, the latest of which is a New Atheist writer who's fallen into an inexplicable coma. Left and right, it seems Gil can t escape the power of God and murder. 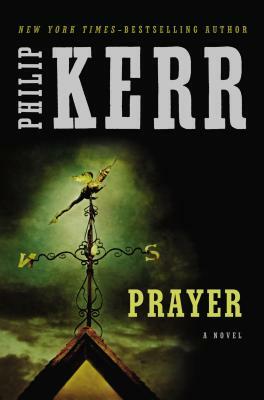 As Gil investigates both cases, he realizes that there may be a connection answering his prayers in a most terrifying way. Philip Kerris the author of the Bernie Gunther series as well as several dystopian futuristic novels, standalone thrillers, and the young adult series"Children of the Lamp." He lives in London with his wife and children."